I have had so many craft fails in the past couple of days, and only one I’m willing to talk about. It’s annoying, frustrating, and it feels like a waste of time when I need to have something worth posting every day. 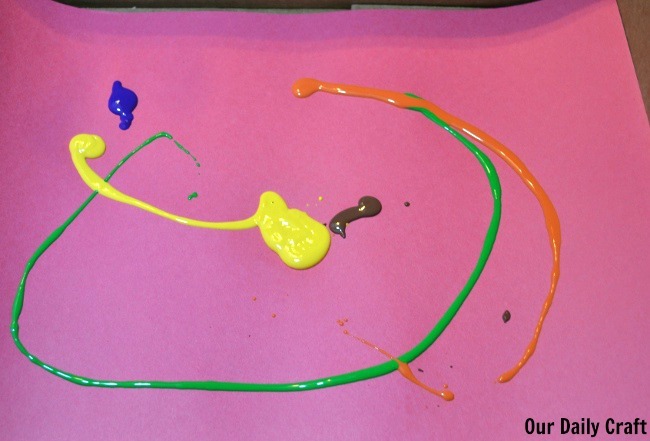 I needed a quick and easy something to share today after a morning of not getting much done and I was reminded of a craft that’s often done by kids but is so satisfying we should all do it: painting with marbles. And other balls. As you’ll see. This is such a fun activity because it feels a little like creative destruction, making a mess on purpose, even if it’s contained. It’s also a no-prep activity that’s done really fast, so bear that in mind the next time the kids are home sick or snowed in from school. 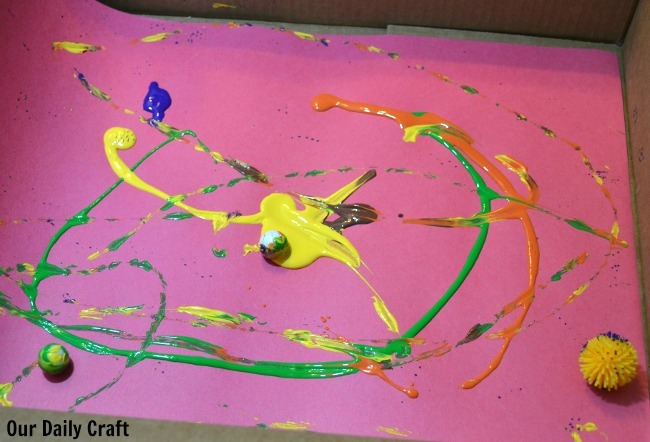 All you need is a big piece of paper and a box to put it in (my paper was bigger than my box, but it’s not a big deal), some paint and some marbles or balls. I used a marble, a round magnet and a plastic spiky ball. Put the paper in the box. If it’s too long, run the paper up the sides. 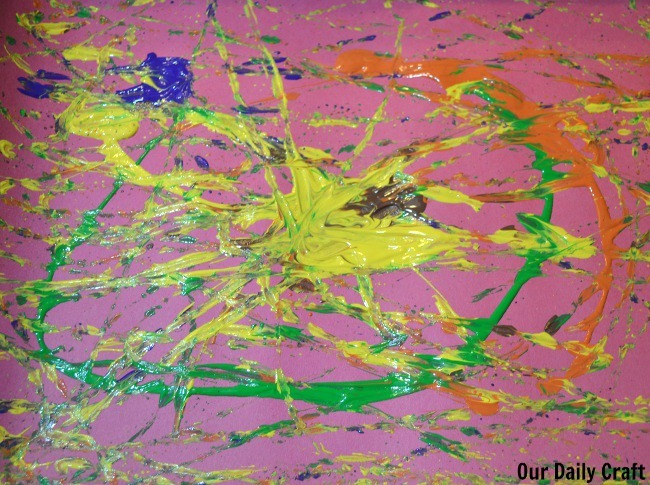 Squirt paint randomly. The big yellow glob was an accident; my paint bottle was clogged and then it wasn’t. 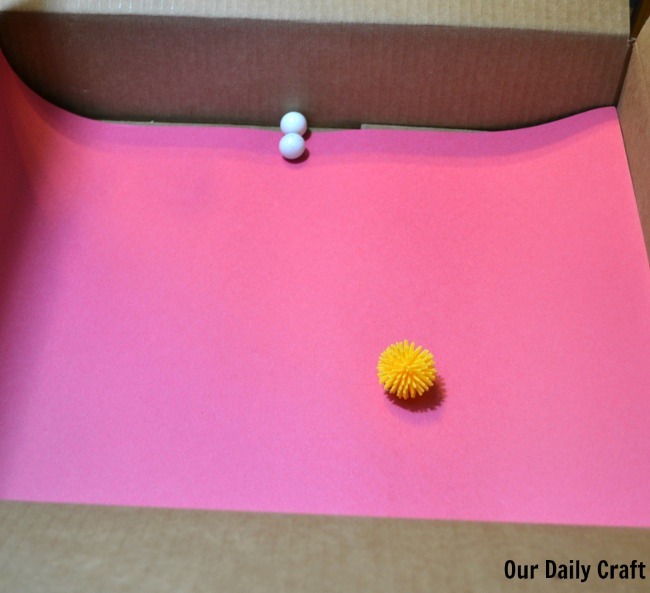 Drop in the balls and start gently shaking or tilting the box to get the balls moving. The big glob of yellow paint caused problems in the beginning because the little balls were getting stuck, but in time it worked out. I actually like the prints of the spiky ball the best. They’re more random and interesting. Keep going as long as you want. Doesn’t this look fun? And even though it’s a totally simple thing, it made me feel better about my inability to execute what today’s challenge was supposed to be. Maybe I’ll come back to it someday. Maybe I’ll tell you about it later, too. If you try this one I would love to see your (or your kids’!) results. Tag me on Instagram with #ourdailycraft.